What woman’s name comes to mind when you think of vintage scarves? If you said “Vera,” you are not alone. Vera Neumann was one of the most prolific scarf designers of the mid-20th century, turning out as many as 600 designs a year between 1947 and 1992. 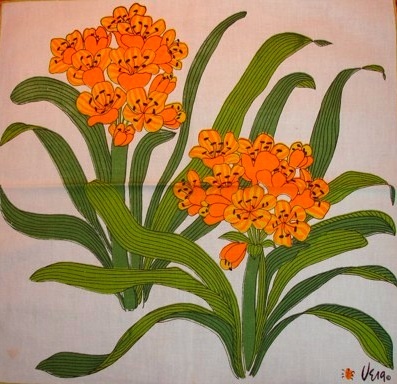 But Vera didn’t set out to design scarves; she began designing household linens in 1946. A chance buy of army surplus silk which had been used for parachutes during World War II put her company, Printex, in the scarf business. The first scarves were made by Vera and her husband, George, in their Manhattan apartment. By 1948, the business had outgrown the loft and and was moved to Ossining, N.Y., where the Neumans bought an old mansion, converted into her studio and factory. The company was set up in a vertical fashion, meaning that the entire operation, from design to finishing, took place at the mansion. Each Vera design started out as a 36-inch square. From that basic design, all the Vera products were developed. A painting of a group of roses in vases might become a scarf, a tea towel, place mats, an apron, or all of these. Printex had expanded to the point that different designers in different departments would take Vera’s designs and develop their own products from them. In the 1960s, Vera added a clothing line. Dresses and blouses were made from the Vera textile patterns, and each garment design also began with the 36-inch scarf. Then, the fabric pattern would be engineered or altered with the idea of the finished garment in mind. The earliest Vera clothing was made with either 100 percent cotton or 100 percent silk. Later, items were made from nylon and polyester. Left: An example of how the fabric for a Vera blouse was designed to fit the garment shape. Right: This piece of fabric from the Vera factory shows a blouse before it was cut. 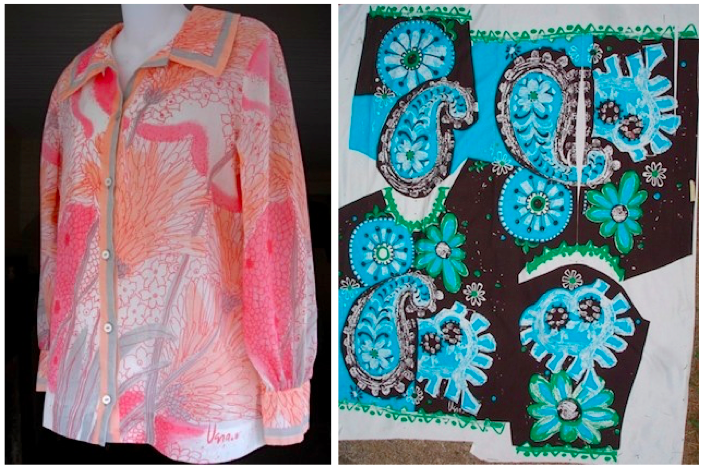 Today, the Vera trademark and all of her designs are owned by The Vera Company of Atlanta, Georgia, which is still making linens, scarves, and clothing based on Vera’s artwork. Over the decades, the Neumanns’ companies, including Vera Licensing, churned out so many products that it’s quite easy to locate wonderful vintage pieces. Hi I have a small collection of Vera scarves and would love to know each ones value or rarity,can you help? “ ” These low-brow jokes are a nice reminder that medieval society wasn't just about prayer and plagues.